English novels are not available as part of our digital textbook subscription and must be purchased by the students. Students may choose paper and/or e‐book formats for these novels. E‐books can be downloaded to more than one device and are available in Apple Books and in Kindle. Rather than mandate a single supplier, we recommend families use their own choice or, to search online, tools such as http://booko.com.au list the lowest prices from a range of suppliers. Please find below the full list of 2019 English text requirements, organised by year and course. Let either Mrs Antoniak or Mr Turnock know if you have difficulty purchasing any of these texts. English novels are not available as part of our digital textbook subscription and must be purchased by the students. Students may choose paper and/or e-book formats for these novels. E-books are available in Apple Books and in Kindle. Rather than mandate a single supplier for these texts we recommend families use their own choice of supplier, or, to search online, tools such as http://booko.com.au list the lowest prices from a range of suppliers. In our quest for enlightened academic rigour and rich learning resources, Oxley College recently changed focus from traditional textbooks to the provision of an online textbook library with hundreds of texts from some of the world’s leading educational publishers. Traditional paper textbooks are heavy, expensive and restrict the student to a single resource for each subject. They are easily lost, damaged or forgotten. Teachers select the best chapters at the best levels to meet student learning needs. 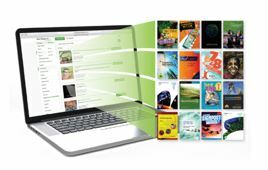 E-books for each subject are embedded online in our Canvas Learning Management System as well as available to download. Once downloaded, students can access their e-books without an internet link. Students can add shareable bookmarks, annotations and highlights to the digital text. Text size is adjustable to suit students reading preferences. Students can print individual pages from their e-books when they need the information on paper. Students who prefer to listen to audio have text-to-speech options. Updated publications from publishers such as Cambridge, Pearson, Macmillan and Nelson are added to the online library as they become available. Students need not be limited to last year’s textbooks. Online e-books help prepare our students for the extensive use of digital text in tertiary education. E-books are cheaper than paper textbooks and do not need to be ordered. School fees will contain an annual e-book levy that will cover the cost of the subscription to the Learningfield e-book library. English novels and some specialist workbooks do not form part of this subscription.